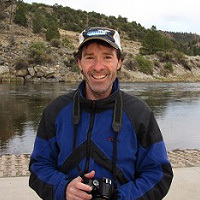 Charles Coyle is an environmental engineer with the Environmental Engineering and Geology Division at the Environmental and Munitions Center of Expertise (EM CX) of the US Army Corps of Engineers (USACE) in Omaha, Nebraska. He is the author of USACE guidance documents on Landfarming and Composting for bioremediation of contaminated soils. He has also written USACE guidance for start-up and operation of soil vapor extraction (SVE) systems. He also serves on SERDP & ESTCP (Strategic Environmental Research and Development Program & Environmental Security Technology Certification Program) technical committees. Specialties include: bioremediation process for treatment of soils & in-situ groundwater remediation. He was recently awarded a patent for a gas injection process for in-situ treatment of explosives-contaminated soils. Mr. Coyle has a master's degree in environmental engineering with a B.S. in microbiology. He is a registered professional engineer in the state of Nebraska. The objective of this ESTCP project is to demonstrate a novel reactive gas process for remediation of vadose zone source areas containing 1,2,3-trichloropropane (TCP). TCP is an emerging contaminant that is present at DoD sites primarily through its application as a solvent for cleaning and maintenance, paint and varnish removal, and degreasing. The reactive gas process being demonstrated entails injection of a blend of air and gaseous ammonia (NH3) in order to raise the pH of soil, and to promote destruction of contaminants via alkaline hydrolysis. When NH3 is added to soil, it combines with H2O to produce ammonium ion (NH4+) and hydroxide ion (OH-) subsequently increasing soil pH. The process may also stimulate cometabolic biodegradation reactions mediated by the enzyme ammonia monooxygenase (AMO) as a secondary effect as pH declines or at the edge of the reactive zone. Thus, this approach will have utility for treatment of any contaminant subject to alkaline hydrolysis, and may also promote cometabolic treatment as a secondary polishing step. The field demonstration is currently being planned at a former pesticide formulation facility in the Central Valley of California. This facility contains TCP and 1,2-dichlopropane (DCP) in vadose soils. Initial laboratory studies suggest that the reactive gas process can be a viable approach for increasing soil pH and enhancing the alkaline hydrolysis of both TCP and DCP in the site soils. Additional batch and column studies are ongoing to optimize this process and to evaluate the potential for cometabolic polishing via AMO. The field demonstration will entail the design and implementation of a system to safely supply 5-10% ammonia to the vadose zone in a stream of air through 1-3 gas injection wells. Vadose zone soil gas monitoring points (8-12) will be used to evaluate performance at different depths at various distances from the injection wells, and soil cores will be collected over the course of the 15-month demonstration period to further assess system efficacy. This project is expected to provide DoD with a new approach to remediate vadose areas with TCP as well as other contaminants susceptible to alkaline hydrolysis. At some sites, this could result in avoidance of the long-term costs required to implement groundwater remediation.